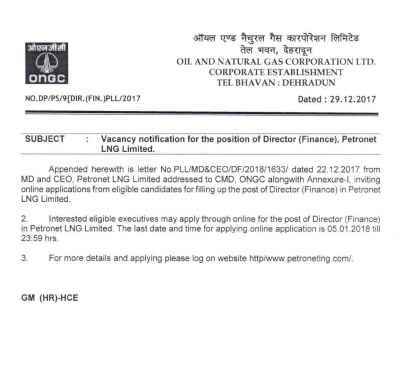 Can you tell me about the eligibility requirement needed for the recruitment 2018 opened in Oil and Natural Gas Corporation Limited (ONGC) for Director (Finance) post? 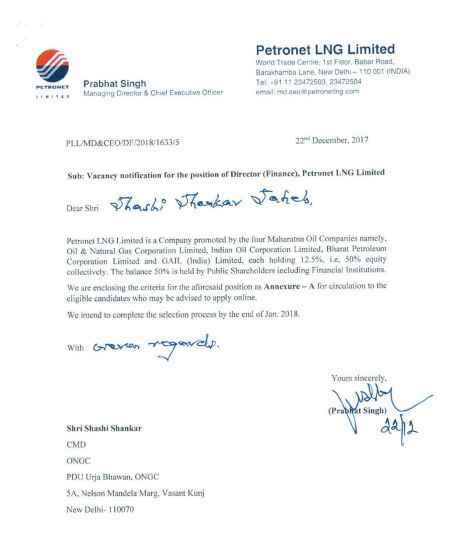 Oil and Natural Gas Corporation Limited (ONGC), Corporate Establishment had announced a notification for the recruitment of Director (Finance) vacancies in Petronet LNG Limited. 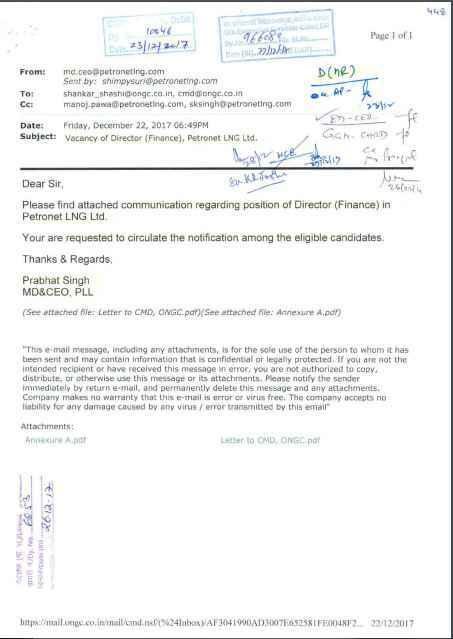 Candidateâ€™s age was between 48 to 57 years as on 01-02-2018. AICTE/ Chartered Accountant/ Cost Accountant with relevant experience.